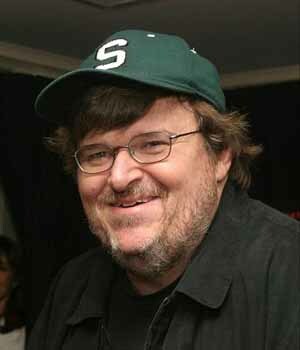 Wikileaks: US Pressured NZ To Nix "Fahrenheit 9/11"
Twice within four days, my name has popped up in the Bush-era secret cables uncovered by WikiLeaks. Lucky me. Though nowhere near as earth-shattering as the uncovering of American misdeeds in Iraq and Afghanistan, these classified cables provide a stunning and bizarre peek into the paranoid minds of the Bush White House when it came to the subject of one Michael Francis Moore. 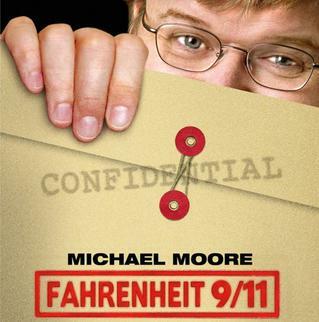 Michael Moore: "These secrets kill people"
Moore’s documentary, Fahrenheit 9/11, looked critically at Bush’s handling of the attacks on 9/11 and the Iraq war. 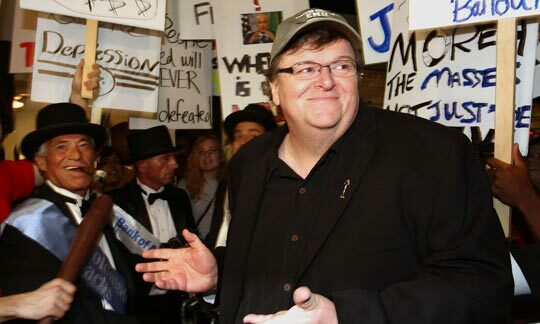 “I would love it actually — my plea if [GE CEO Jeff Immelt] or anyone who is watching here at GE, if they — I will give them for free Fahrenheit 9/11 to run on NBC as balance to all this publicity they have been giving president Bush this week and his answers, you know, that the worst thing that happened to him was Kanye West and all this,” Moore offered. “I hope we never forget what this man did. Parents tonight, thousands of them sit at home, their children no longer with them because of a war that was essentially a lie. So that’s my answer to Mr. Bush,” Moore concluded.